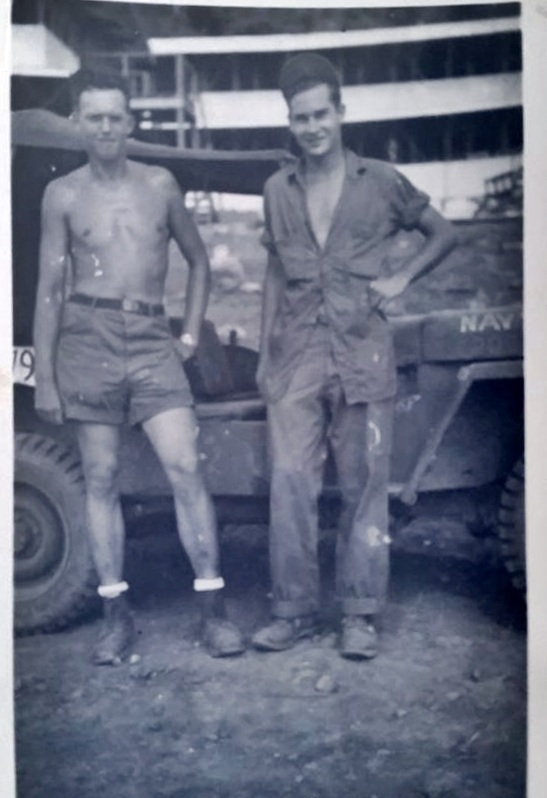 EM3 Robert E. Norris, NSD Subic Bay, 1945-46. 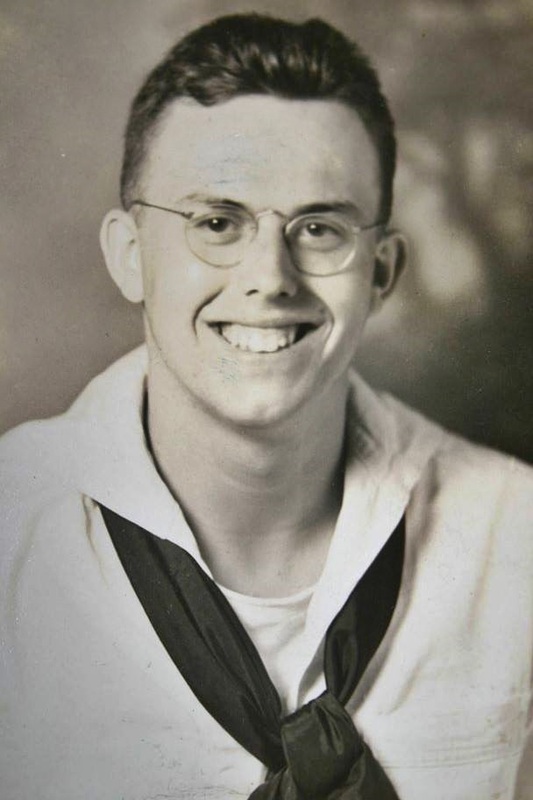 Electrician Mate 3rd Class Petty Officer Robert E. Norris served in the Naval Supply Depot Subic Bay (NSD) in 1945-46. 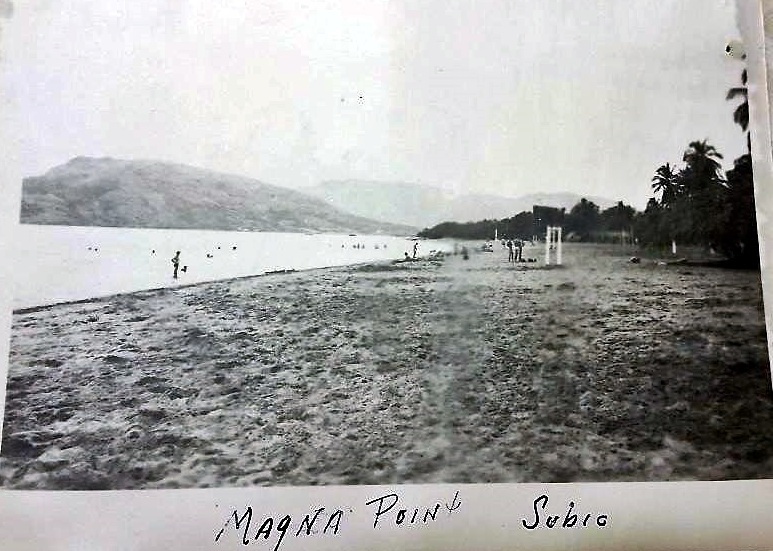 The NSD Subic Bay was actually located in a valley called Maquinaya; the river still has that name. 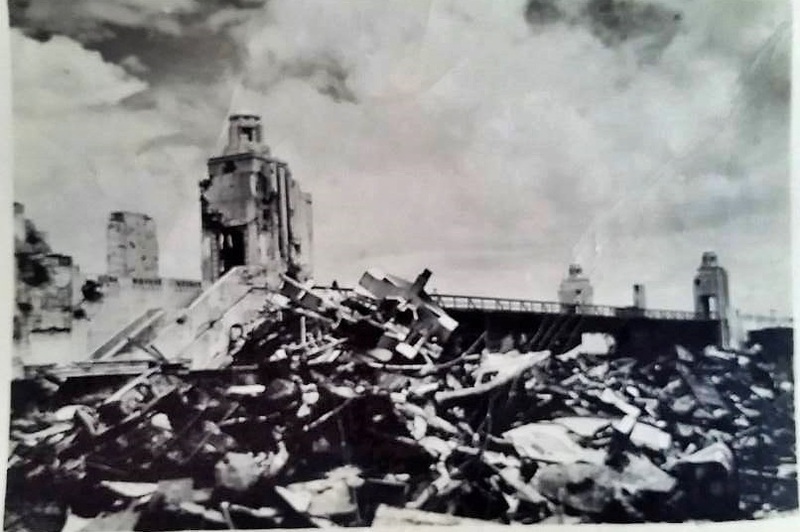 Around 1950 or so the area was returned to the Philippine authorities and it became the village Barretto, belonging to Olongapo City. We sailors and most other people called it Barrio (Bo.) Barretto. 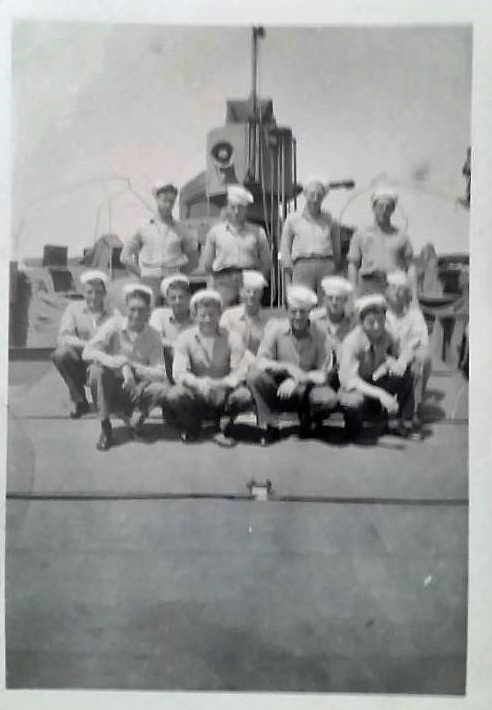 EM3 Norris brought home some pictures and his Grand Daughter Angela Simmons-Jones made an album of those pictures in her Facebook account. You can find her and the pictures under her name in Facebook. She gave me permission to share them in our forum. I used most of her descriptions from that album. 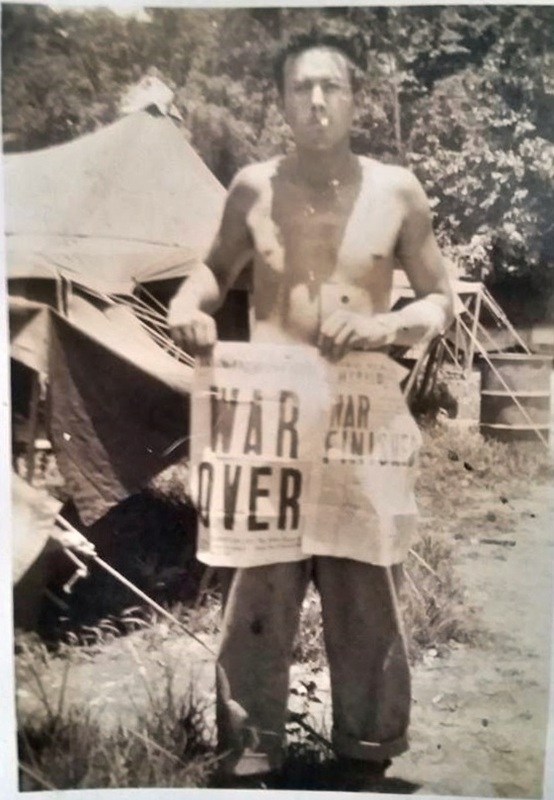 I thank you very much and send you warm greetings from Subic Bay. 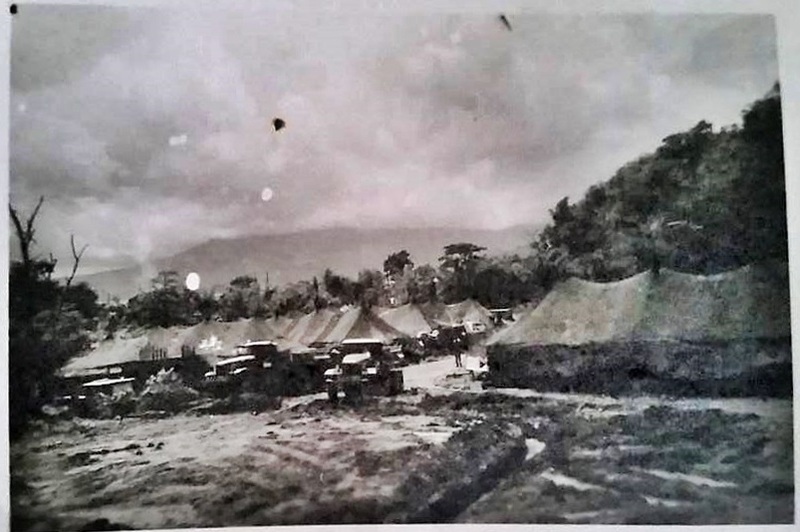 Zc835. . New tent area Subic Bay, Philippines (1945-1946), I speculate that these tents of these 3 tent camp pictures were located in Maquinaya. I am very sure that those mountains in the clouds are Mt. 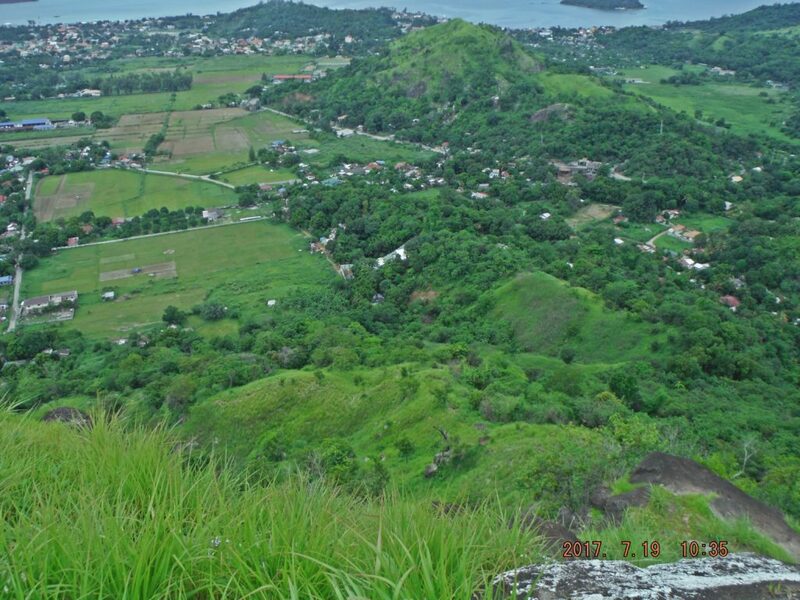 Silanguin and Mt. Cinco Picus on the Redondo Peninsular. Zc837. 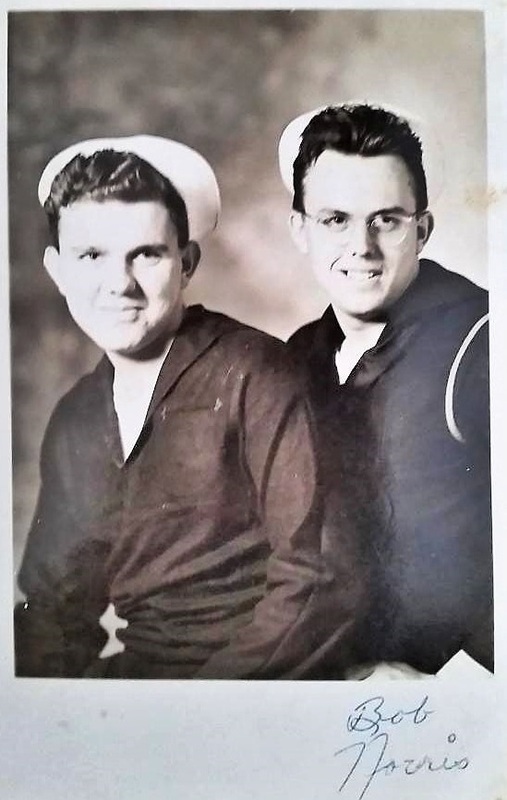 Unknown person and Robert Norris postcard photo. Zc840. No comment, a group picture. Zc841. This is a Google Earth image of the Bo. 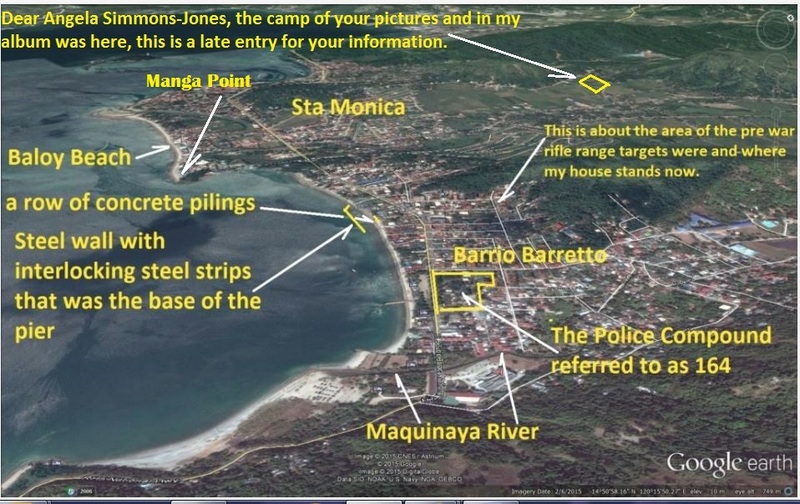 Barretto area and I marked in where Manga Point, the Seabee camp and the NSD Dock used to be. Zc842. This is a section of a 1:50000 map of the Bo. 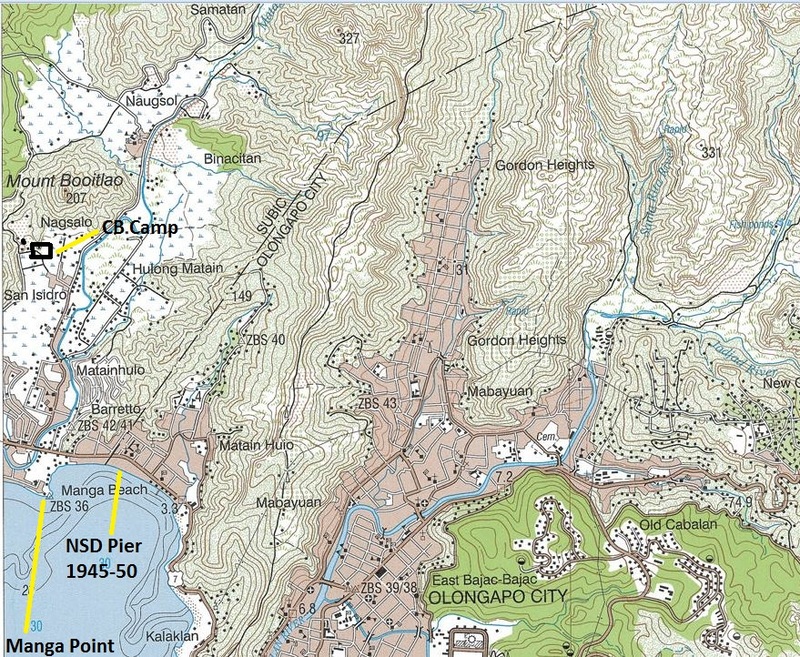 Barretto area and I marked in where Manga Point, the Seabee camp and the NSD Dock used to be. Zc843. 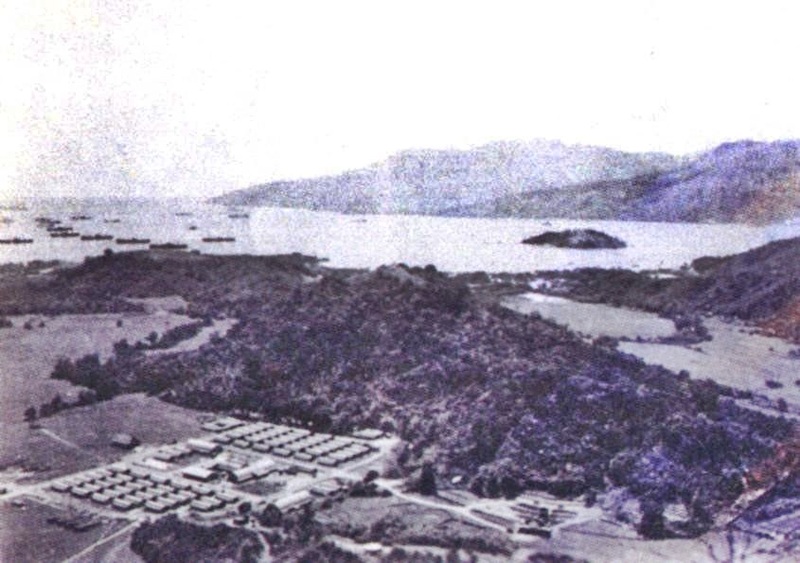 Naval Supply Depot (CB11) Camp Area Subic Bay, Philippines (1945-1946). 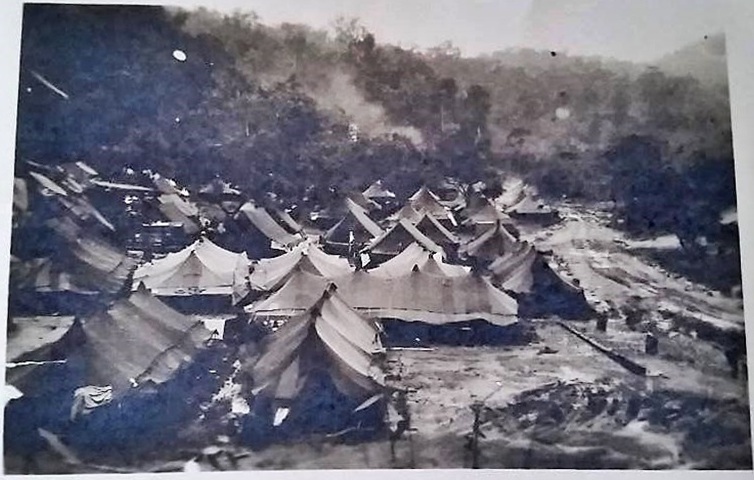 Friends and I believe and we are sure, that we discovered where this camp was located. Look at the next 2 pictures carefully. 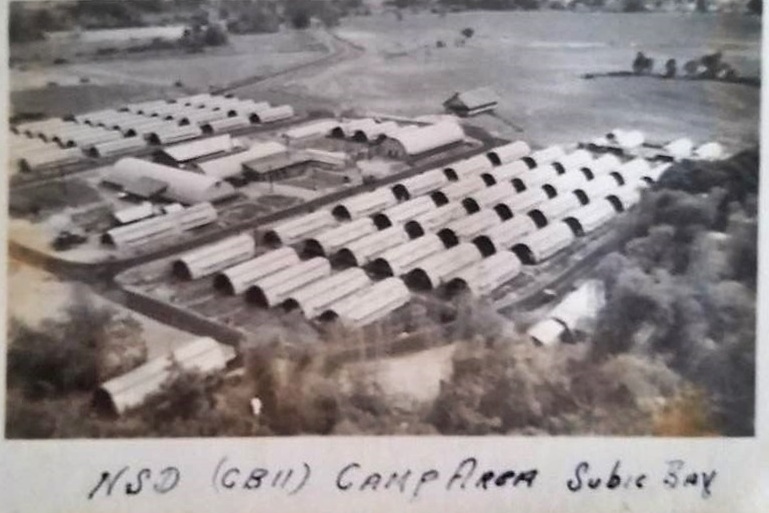 Apparently, according to EM3 Norris, the NSD personnel shared the camp the camp with NCB-11. 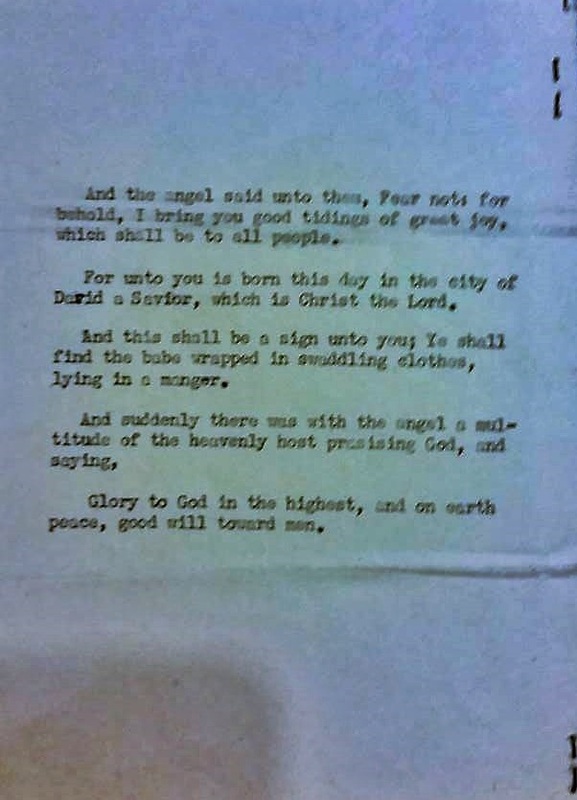 Zc746. 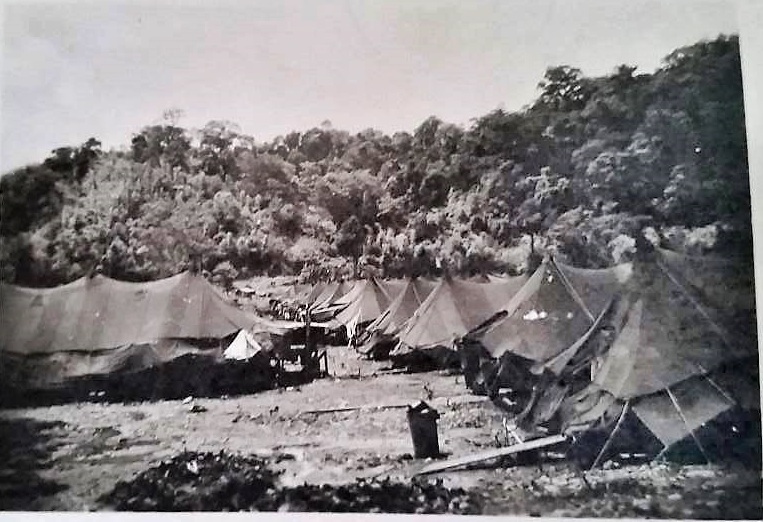 This is a comparison picture of that Seabee Camp area, shot in July 2017. Zc846. 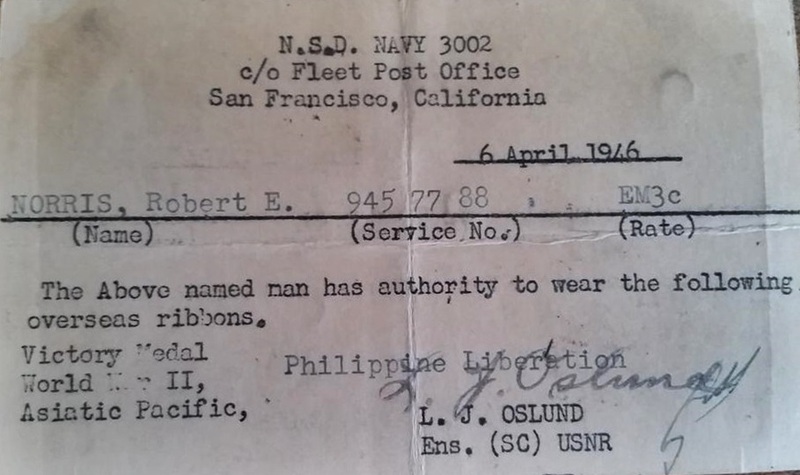 Robert E. Norris, EM3c, USN, Naval Supply Depot, Navy 3002, Subic Bay, Philippines (6 April 1946), this is a certification that EM3 Norris receive several service ribbons during this time. Zc847. 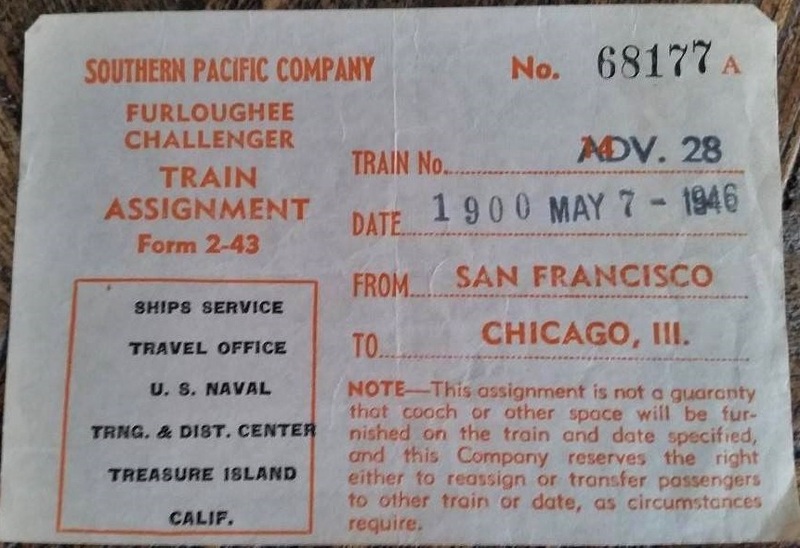 1945 N.S.D. 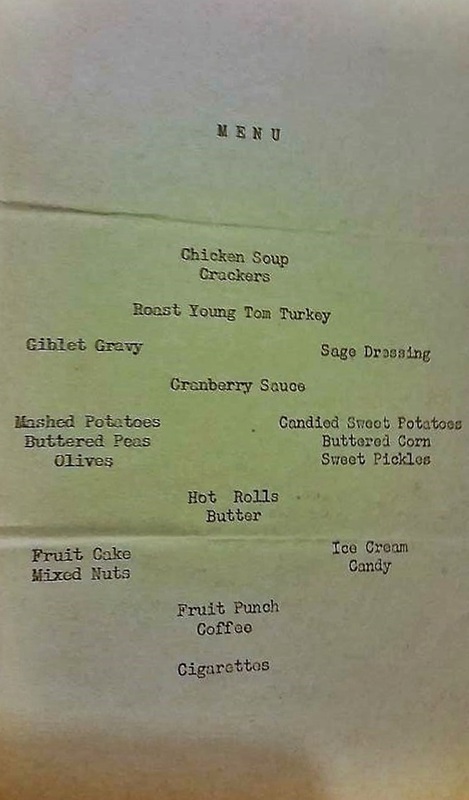 Subic Bay Christmas Menu. Zc849. 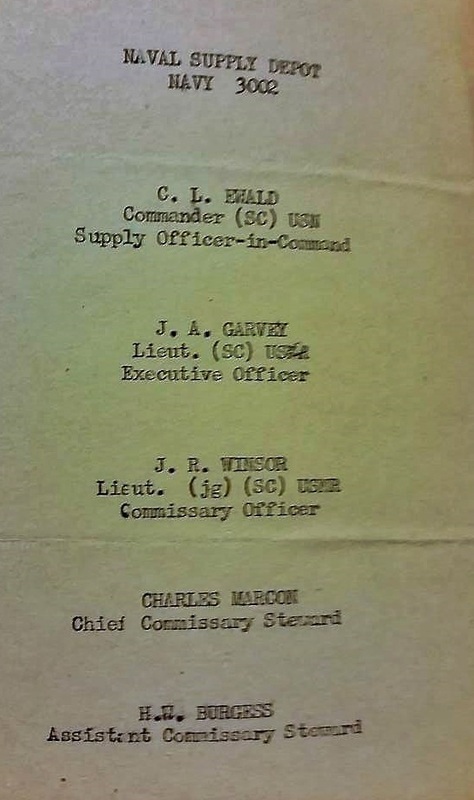 Naval Supply Depot, Navy 3002, Christmas meal Chain of Command 1945. Zc851. Unknown Bridge. 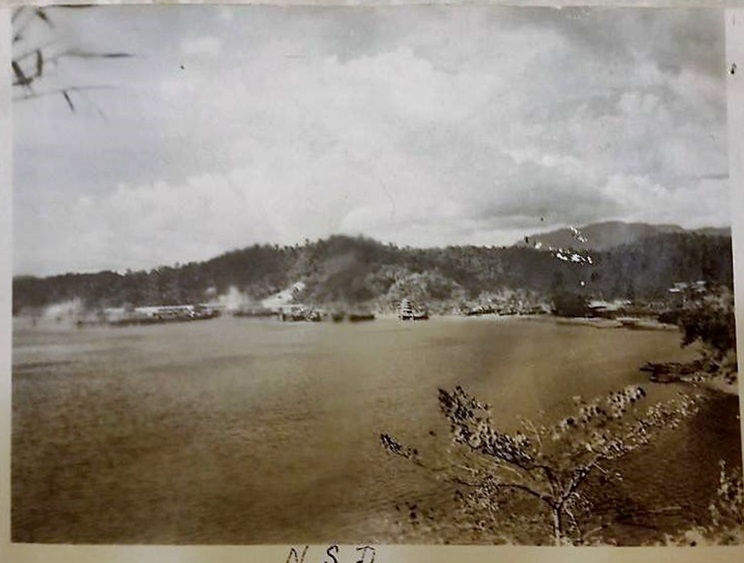 This picture, bridge and location is unidentified. 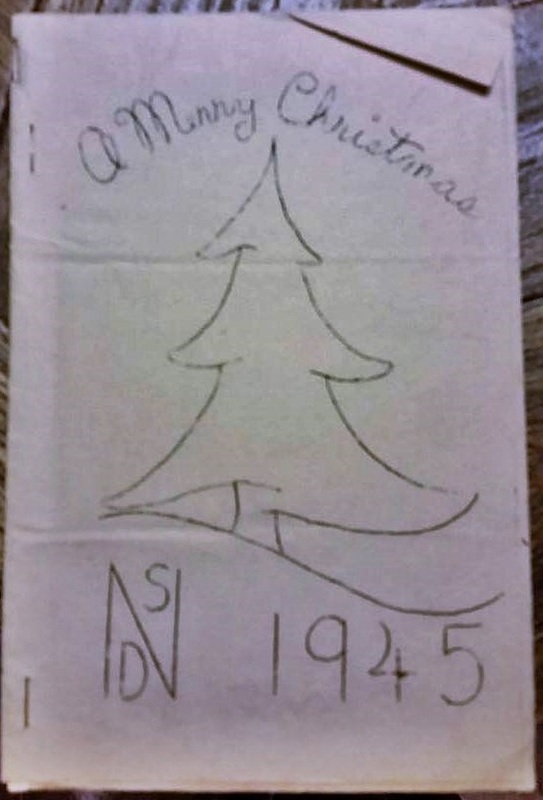 Perhaps one of you viewers knows what and where it is or was?